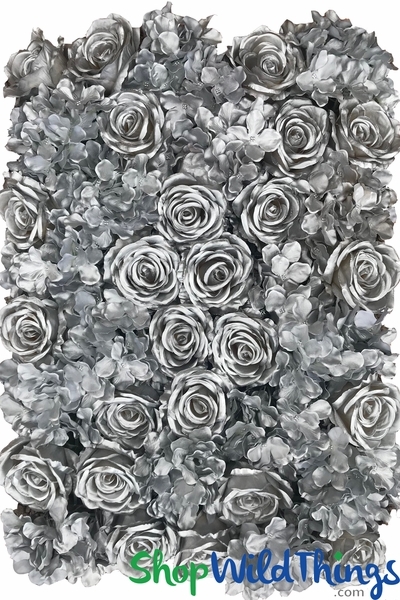 Metallic Silver Roses & Hydrangeas Flower Wall Panel - Artificial Super-Premium Silk Flower Mat. Snap together frames � easily add pops of color with sprigs of real or artificial flowers and greenery! These silver flower walls are made to order. Right now we are in the process of a large warehouse move and our paint booth is unavailable for about 1 month. If you would like to order, please call us at 928-855-6075 and we can take a pre-order for you for a later date. Thank you! You need eye-popping, one-of-a-kind decorations that won't cost a fortune, yet deliver an impressive vision that makes everyone ask - where did you get that?! Stop searching. 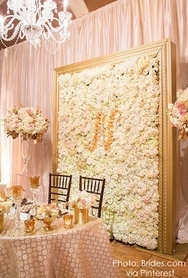 Our Metallic Silver Flower Wall is truly a revelation! *The plastic frame is 15 1/2" by 23" but the flowers extend over the edges making the actual measurement about 20" by 27" and it is 3" deep! It looks like 3-D metallic wall art! This flower wall features huge flowers - 4" in diameter Roses and 2 1/2" in diameter Hydrangeas and the visual depth and dimension of each flower is stunning. 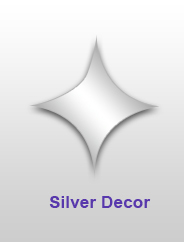 The silver is semi-shiny like brushed silver and it makes the perfect background for photos or as wedding, anniversary and event backdrops. This mat only weighs about 1 lb. 4 oz. which allows for many display possibilities. 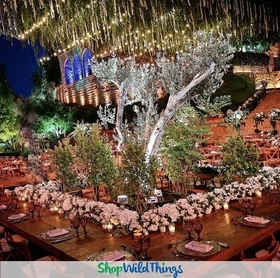 Create breath-taking wedding, anniversary and event Decor by attaching to a trellis, gazebo or pavilion. 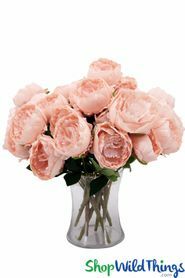 Insert Silk Rose Buds to fashion a stunning wall of flowers featuring an emblem, logo or monogram and mount behind a head table which can also double as an elegant photo backdrop. Use to mask or enhance a column, wall or door. If you want to create a design with other materials you can easily part the flowers and use the grid to attach items. Create even more dimension by intertwining cool to the touch Fairy String Lights. This mat is an ideal size to use on drop ceilings with metal grids. Design a dreamy floral canopy by suspending the mat with magnet hooks, crystal or pearl strands. Add Mirror Garlands or Sparkling Crystal Strands for added glam. If you need a wall that will be seen from both sides, use the easily accessible grids and tie 2 mats back-to-back. You can even cut the plastic grid frame to make creative shapes.